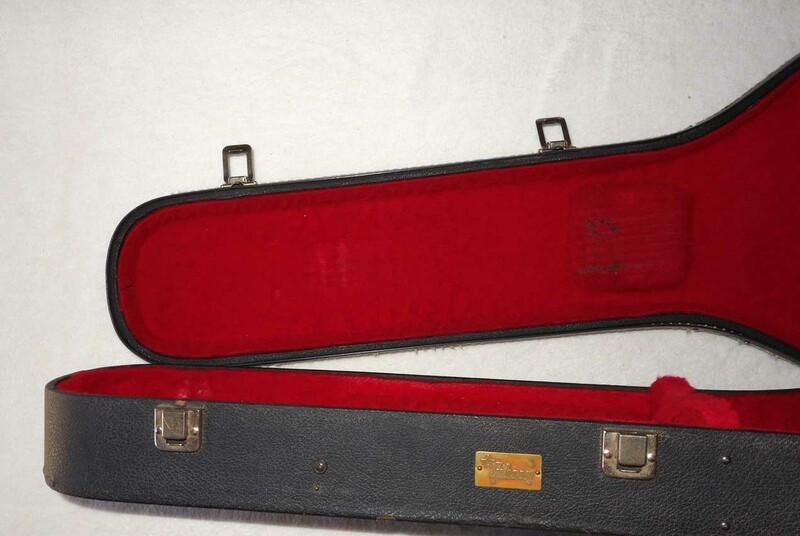 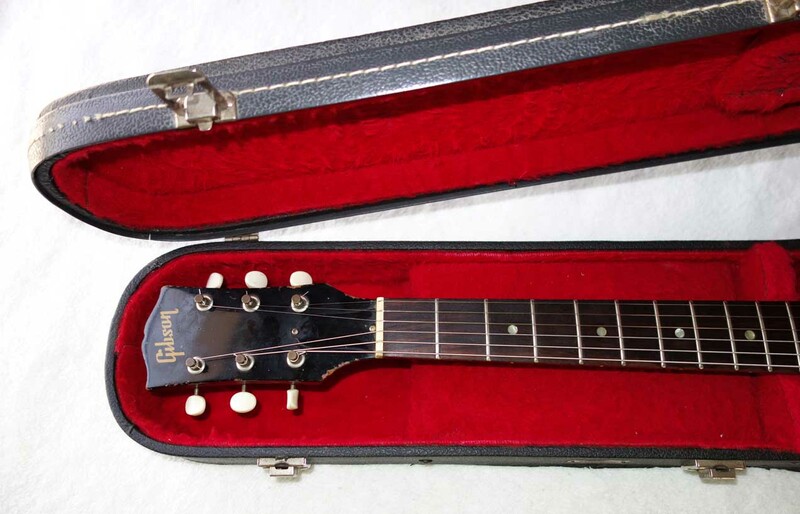 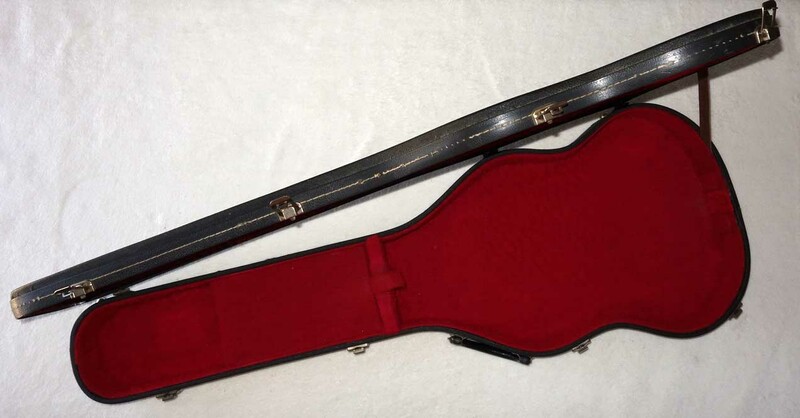 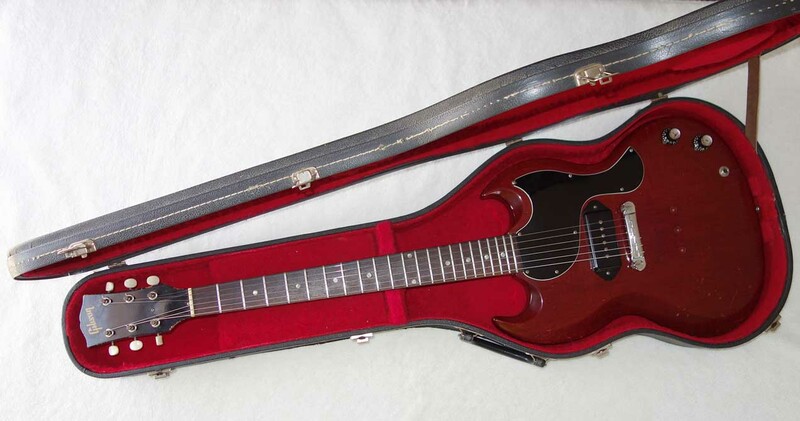 Up for sale is a good condition vintage Gibson SG case from the 1970s. 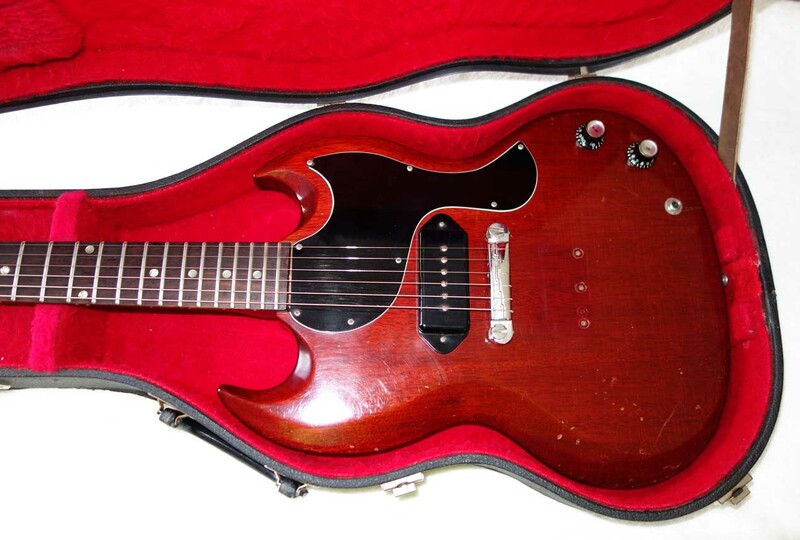 This came to me with an early 1960s SG Special, but to my eye this case looks like it is from the early 1970s. 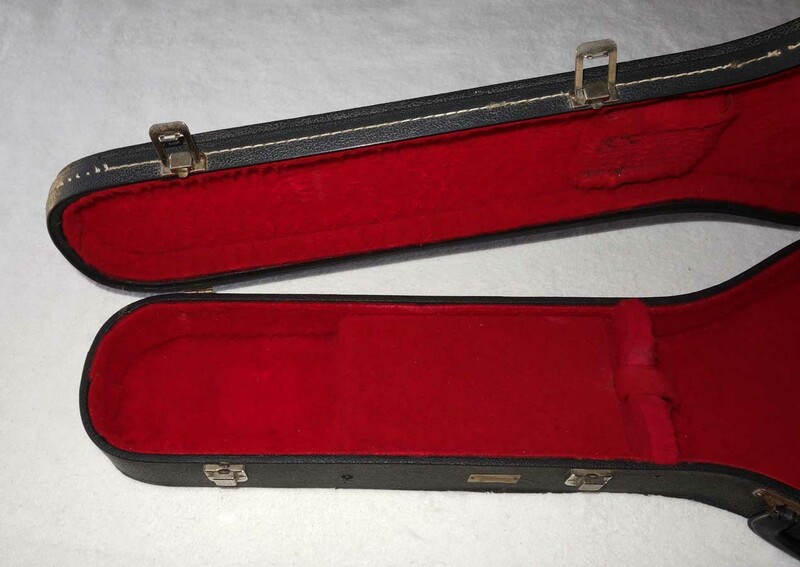  The case works perfectly, with all latches functioning correctly, and the case lid strap is also intact, and it holds the case lid properly in the open position with no issues. 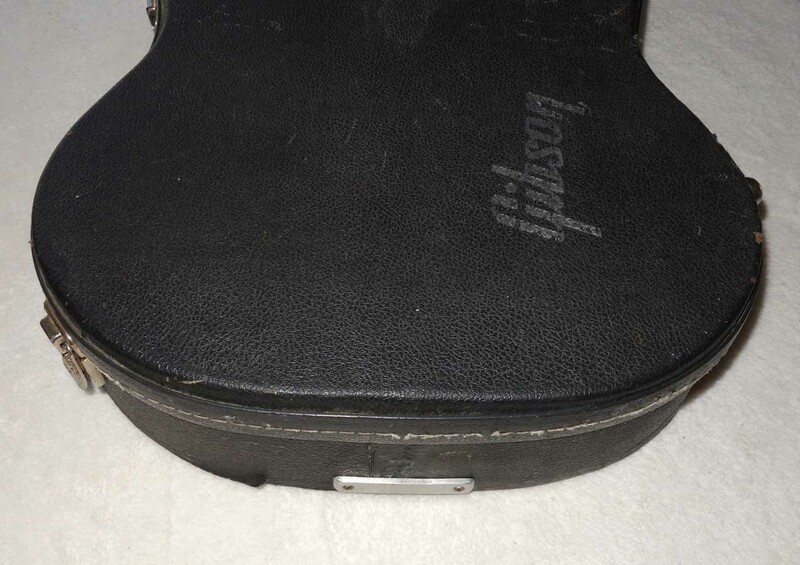 The case has some wear, as can be seen in the photos, and the stitching is wearing in some places, but nothing olng the protective edge trim is loose, and the case is totally functional, with no issues. 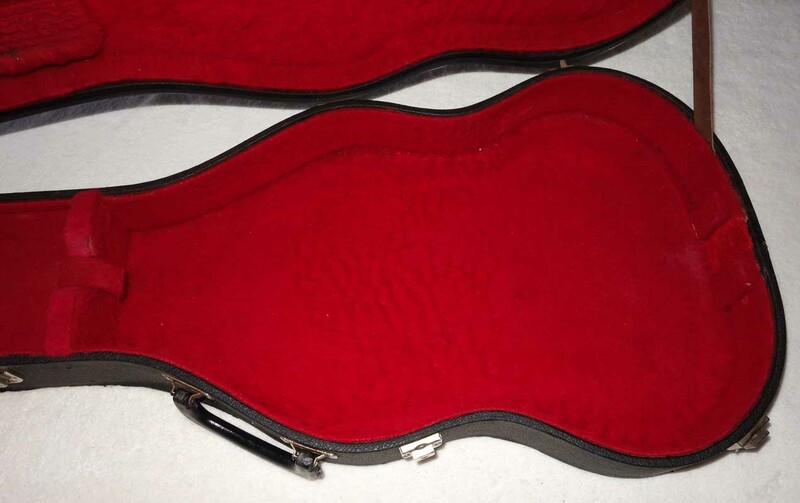 The red lining is mostly in good shape. 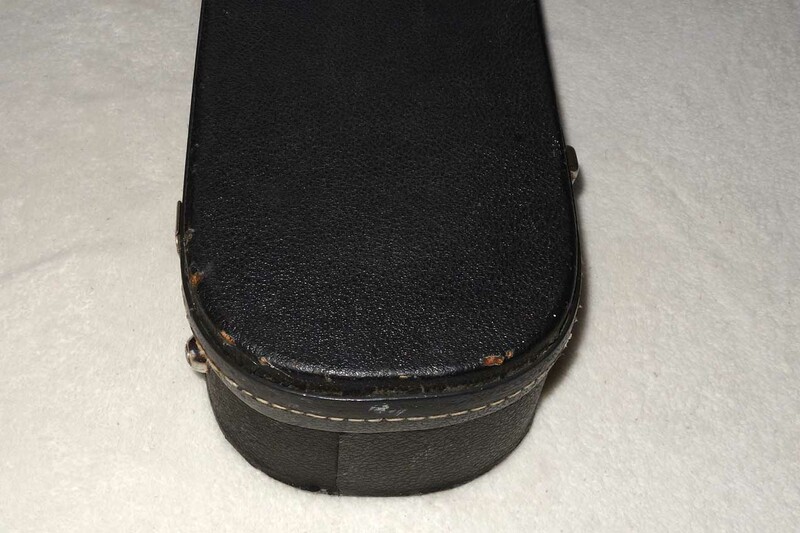 The upper case lid's neck support has some wear in the fabric, showing some of the neck support foam. 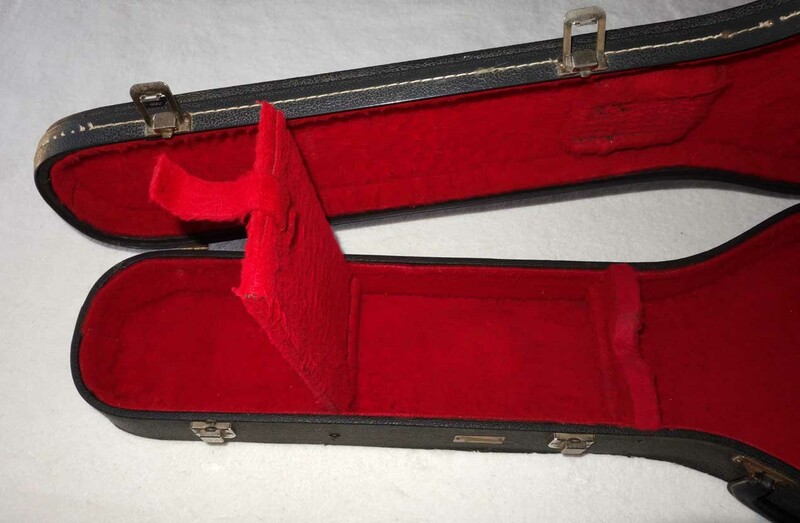 The case compartment also works fine, and the compartment lid's pull tab is intact, and the compartment opens and closes normally.